Another one for my "Ireland in Art" portfolio. Inagh Valley in Connemara in County Galway is a beautiful spot of Ireland. 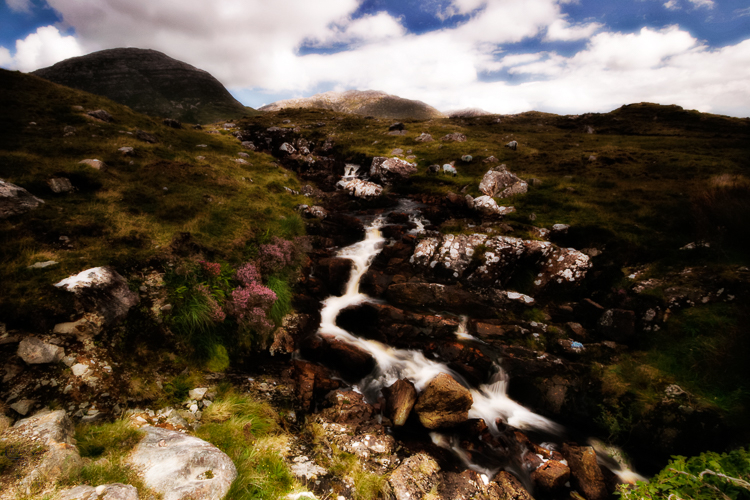 Mountains, heather, grasses, a vast amount of stones and this little creek with peaty water running down the hills caught my attention. A long exposure time gave it a smooth outlook and some more locally limited contrast and saturation changes added the look I was searching for.